Whatever sport you’re into and whatever your training method, chances are you’ve felt bored after awhile of training or running solo. I didn’t use to feel this way much until I started going on runs that exceed an hour or two at a time. 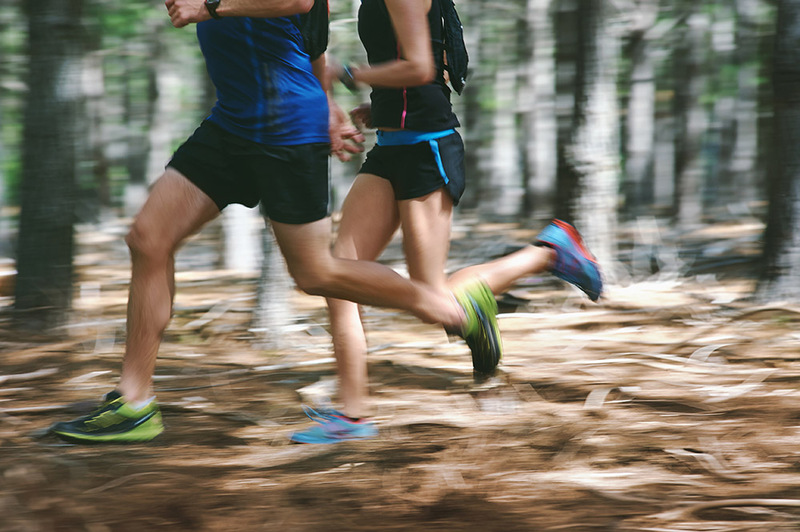 There’s reasons other than boredom for why you might want to run with a partner. Training with others has been shown to boost a variety of hormones (e.g. oxytocin, endorphins, serotonin, etc.). Basically, training with a partner can make you push yourself further for two reasons: 1) the boosted hormones mask some of the negative stimuli (e.g. pain or discomfort), and 2) it improves your perception of how much effort you’re putting in which has been linked with one’s ability to persevere. Remember the Kenyan runners? Famous for their endurance, they train exclusively in groups and in such ways that they challenge and support each other throughout a session. However, there are practical problems with this “training hack”. Like me, you might be following a specific running or training plan? I have to stick to a specific heart rate zone for most of my runs in a week. So what if I can’t find a running partner who’s at the same running fitness as me? Well well well. There’s a few smart ways to run without deviating from your training regime and I’m using one of them almost weekly. 1. Pick the runs you could share carefully. Chances are that you could do a long slow run and short recovery runs with a partner regardless of their fitness. For both of these types of runs, what matters is time on feet rather than the distance. Some training prescriptions might need you to ‘hustle’ more, however I tend to object and prescribe my clients to focusing on time and most importantly form versus any other marker. For example, the other week I ran with a partner for 2 hours running 10 heart beats lower than I wanted to, which resulted in 2 miles less in total distance. However, since the time is what matters most and my heart rate was still in the lower aerobic zone as planned – it was fine. 2. Run out and run back. This is a training strategy I used to employ with some of my clients and friends. Let’s say you have a speed interval session and your partner needs to do their tempo. Given that your speed and aptitude might be greater you can simply run faster and then strategically cut your interval in half and come back. These type of social training sessions are best done at track, long and clear segment of road or any other running route that both of you know like the back of your hand. 2. Run freely but meet up regularly. This way you get the best of both worlds: running solo with a bit of socialising thrown in. Simply split your run, e.g. if it’s 2 hours you might split it into 2-4 chunks. Then plan specific spots on the route where you’d meet up with your running partner. Being time and location bound will make you more strategic with your navigation skills (if done on trails) as well as allow you to train at your own pace/hr. A few stops can also mean getting the best out of social training boost, and even a short break to hydrate or recover if necessary. This is one of the ways most of the running groups and clubs operate – having a pack of mixed level athletes make it practically impossible to tailor one run to everyone’s needs. However marking a specific point and setting a training path for everyone and regularly catching up is what makes a solo run into a social activity. If you aren’t a member of any running club, you can use Strava to find your local club, join a weekly parkrun or create your own Strava club inviting other athletes to participate. Not ready or willing to run with a partner? It’s ok to accept the solitude. OCR, Running, cycling and other solo competitive sports are solitary activities. It’s a fact. You can still make the best of it employing other methods that rub off in a similar way as social training. Join a Strava running club. I think this is one of the most powerful tools to help you stay on top of your training plan. If you’re an OCR athlete who does crosstraining on a bike, you could use Zwift to add some social to your training. With Zwift, you can compete and train with other athletes worldwide in real time. Zwift setup with indoor power trainer (not pictured). 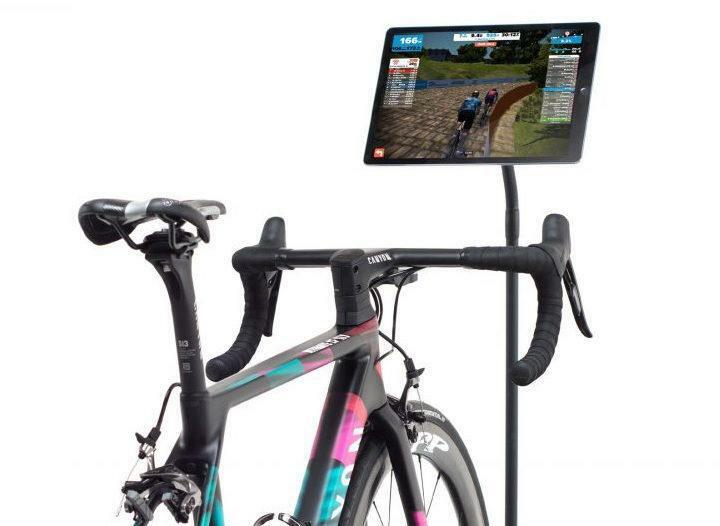 Image credit: Zwift. I get that not everyone will be able to train with others without interrupting their strict regimes. That’s totally fine. Perhaps you can do so only once in awhile or allocate 1-2 sessions monthly. I find that having a social session increases my motivation, even when that run doesn’t fully align with my training plan. In turn, this translates into improved performance over the longer term. So don’t steer away from training with others if you haven’t tried it; just employ other ways to make the best of it.